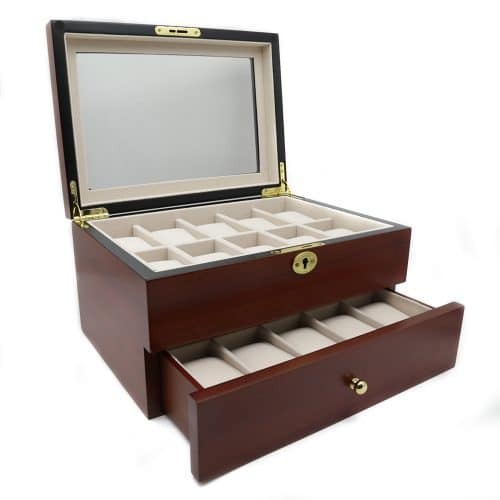 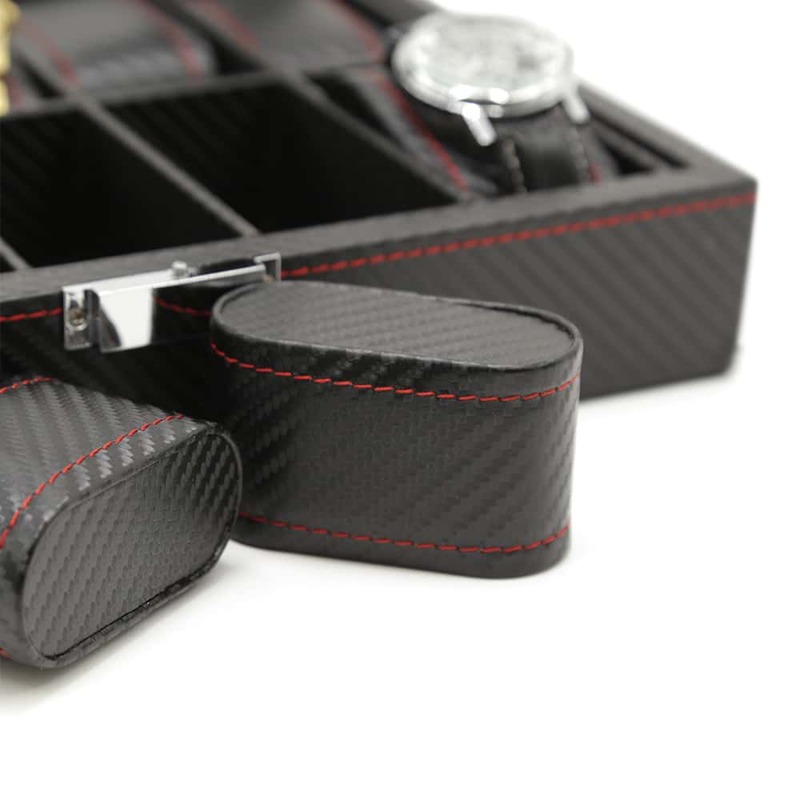 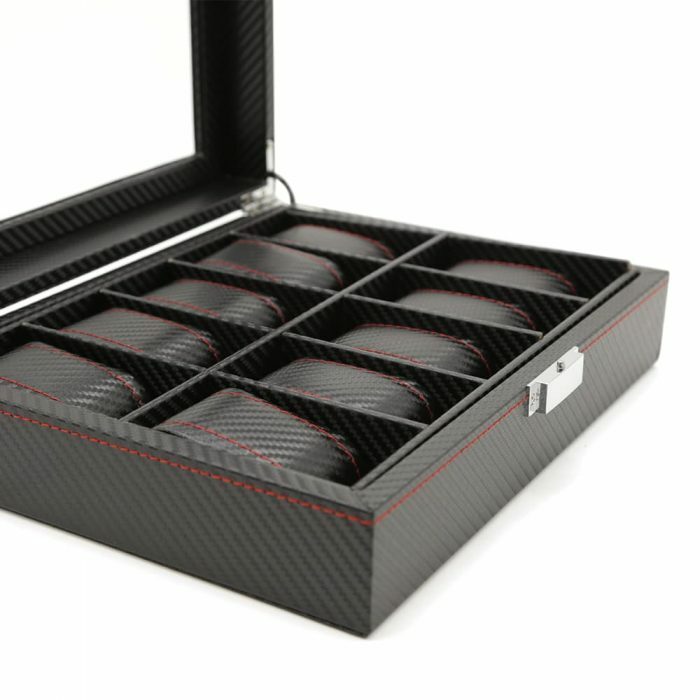 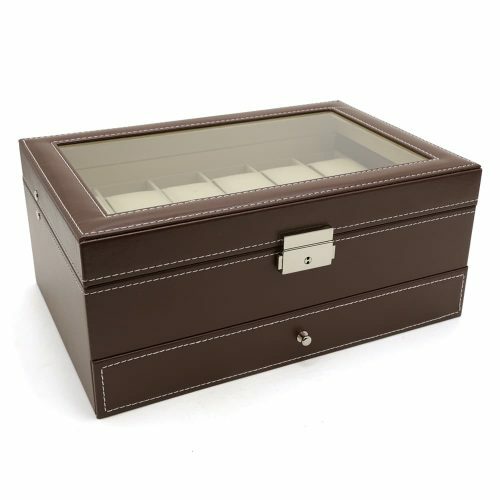 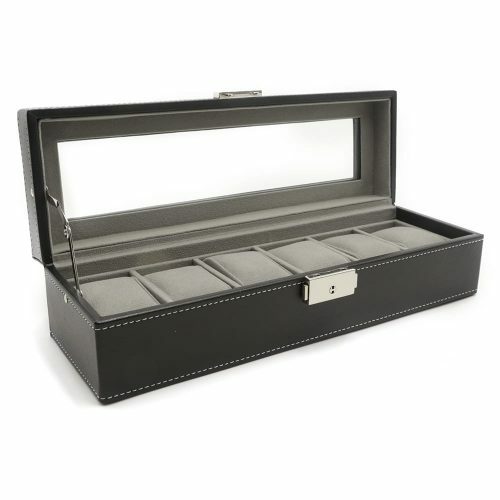 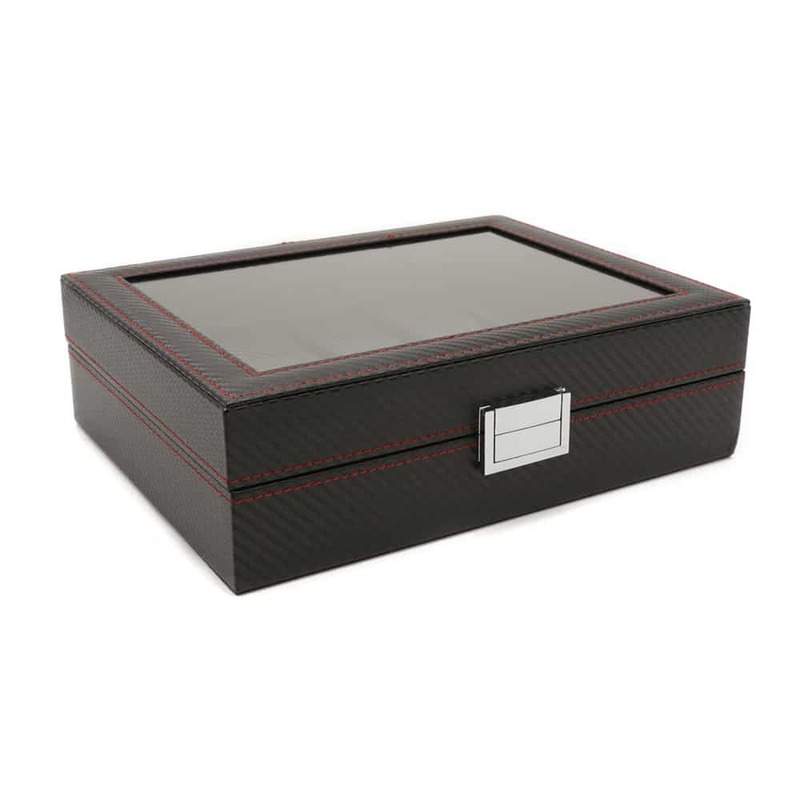 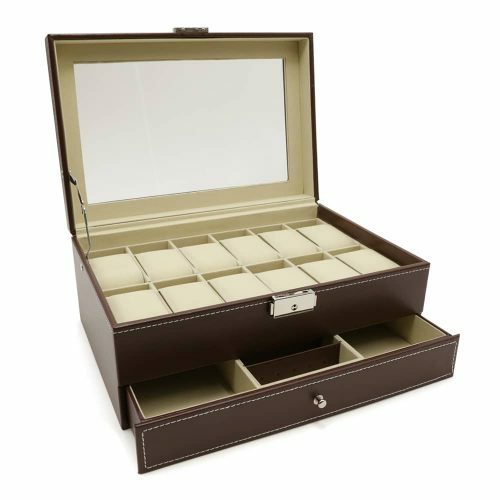 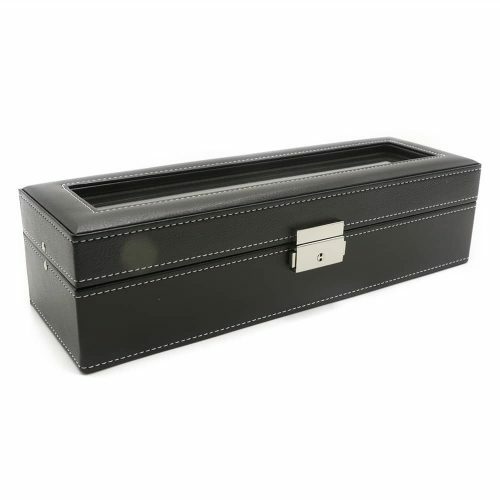 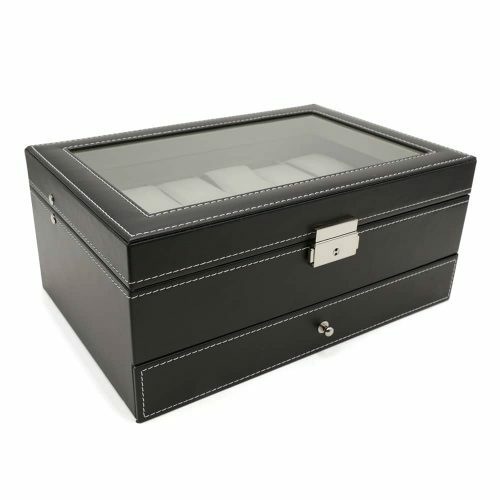 Ensure your collection stays dust-free with this Carbon Fibre 10 Slot Watch Box. 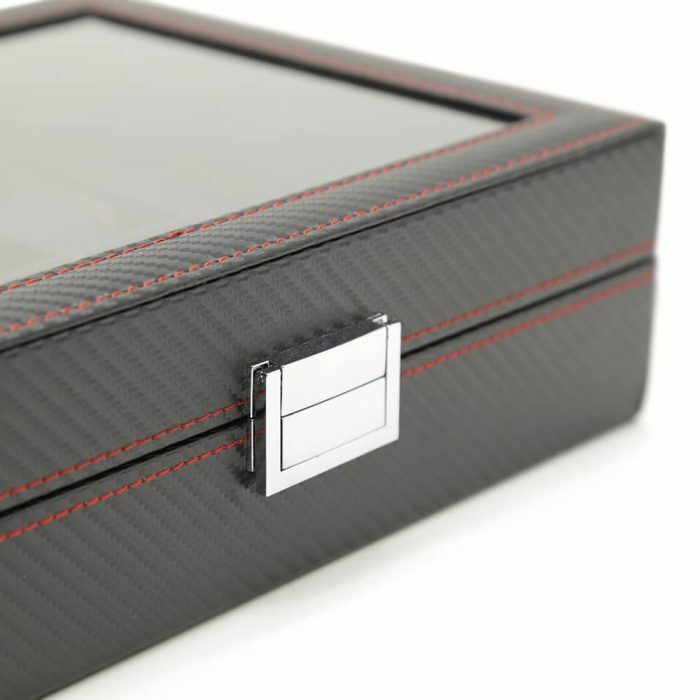 Its exterior is made with high-quality PU leather with a beautiful carbon fibre print and red stitching. 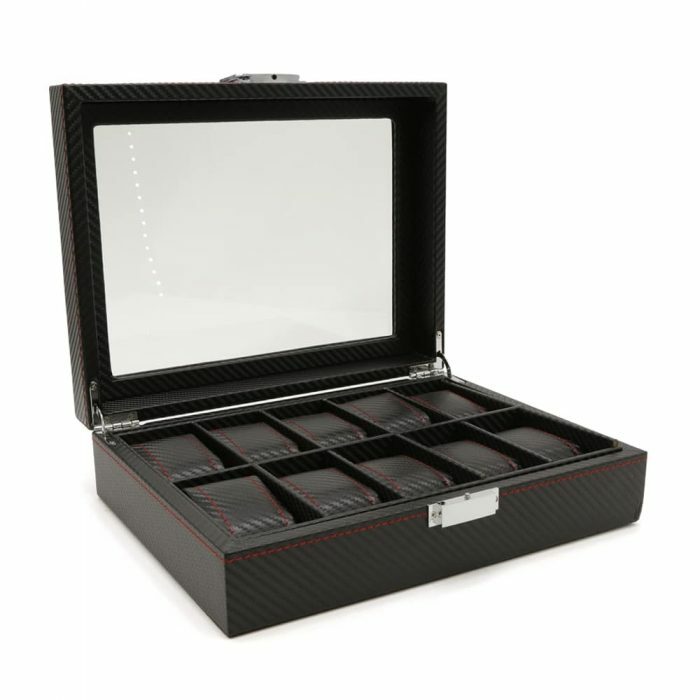 The matching interior comes with 10 removable pads for each slot allowing you to display your watches upright even when travelling. The lid allows you to see inside through the see-through panel making it easy to select the perfect watch for your outfit. 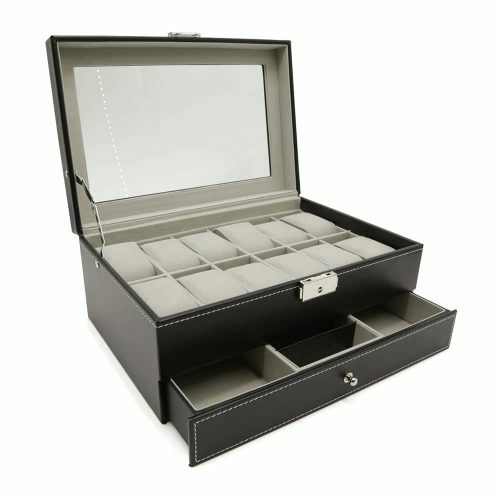 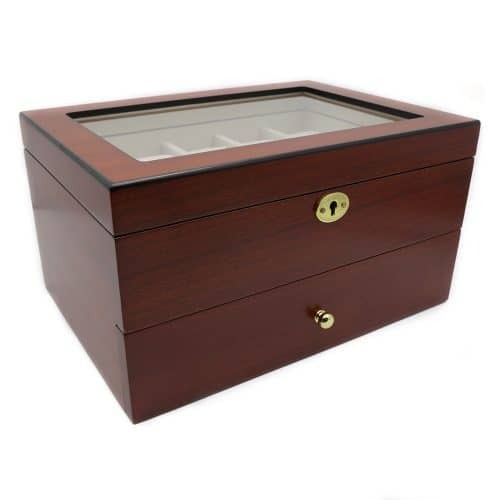 It also comes with a silver latch to keep your collection safe.